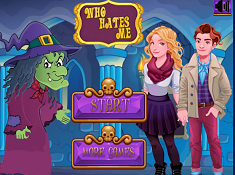 Who Hates Me is a game where you can find out if some persons hate you. In the right side you can see a couple which represents you and in the left side you can see the witch. She is the one who is going to calculate the hate percentage after you tell her a name. At the beginning you have to select if you are a boy or a girl. Then you can start the game. At the top you have to write the name of the person which do you think is your hater. You need the mouse to select the place where you have to write. You will press click on that place and then you will use the letters from the keyboard to write the name. Then you will press click on the play button to let the witch make her magic. In her crystal globe you will see the hate percentage and then you will get a test where you will be told if the person hates you or not. In this game you can have some fun writing the name of your friends or you can find out which of your enemies really hates you. 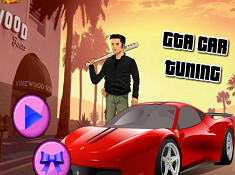 Give us a like if you want more games like this one and we will bring them to you. Tell us in a comment who hates you the most.